Blades angle 30 degrees to either side to help move snow where you want it. The blade angle is adjusted from the cab by a fingertip control, which allows the operator to adjust the blade without removing hands from the loader steering levers. The blade oscillates five degrees to keep in contact with the surface, preventing the need for multiple passes to clear snow. 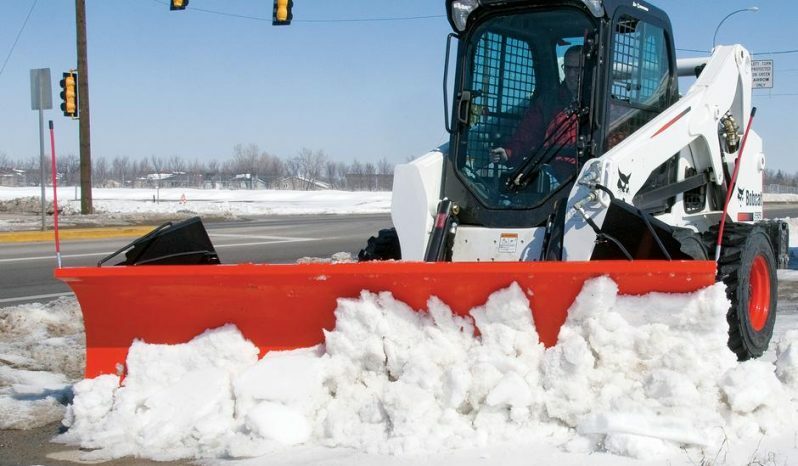 Damage to snow blade components is prevented if the snow blade contacts sections of raised concrete on sidewalks or other obstructions. 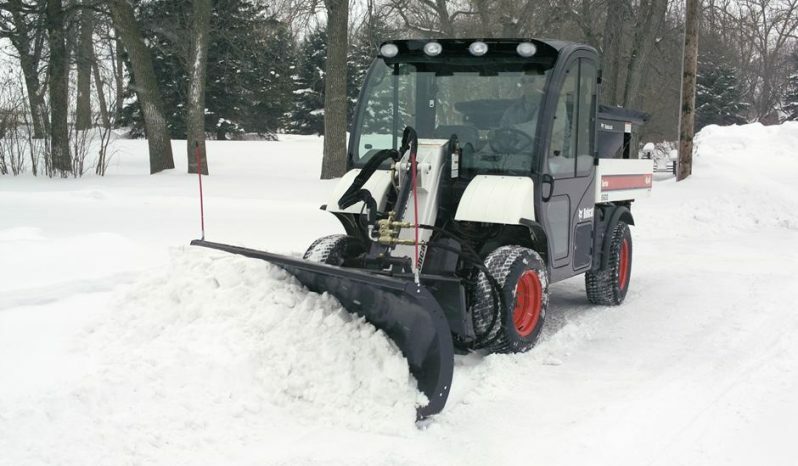 Standard snow blades feature a trip moldboard and heavy duty snow blades feature a trip edge. 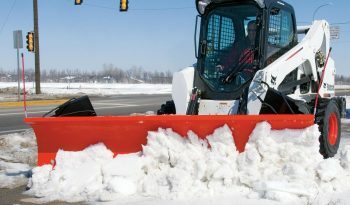 High visibility masts at each end of the moldboard to help keep operators aware of the blade corners. 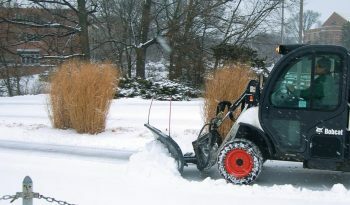 Additionally, since most snow is cleared at night or in the early morning, when it is dark. 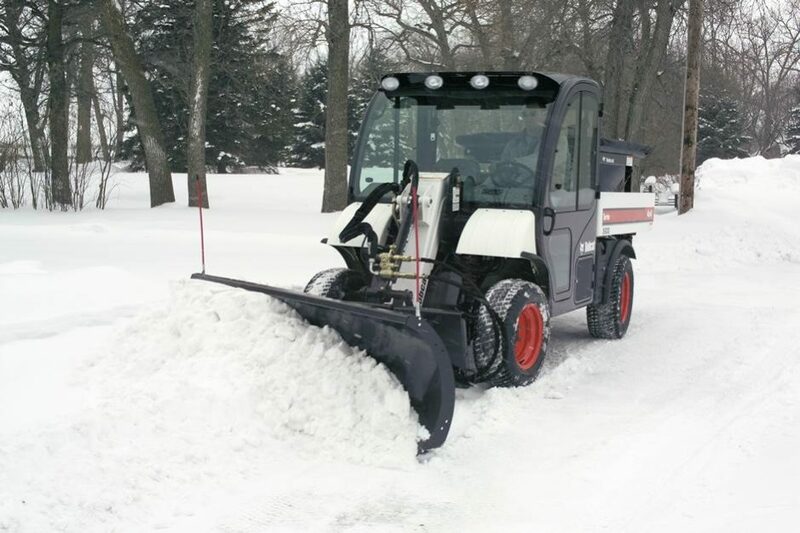 The heavy duty snow blades also offer 5 degrees of oscillation to either side that help keep the cutting edge moving snow around drainage in parking lots and transitions from sidewalks to streets. 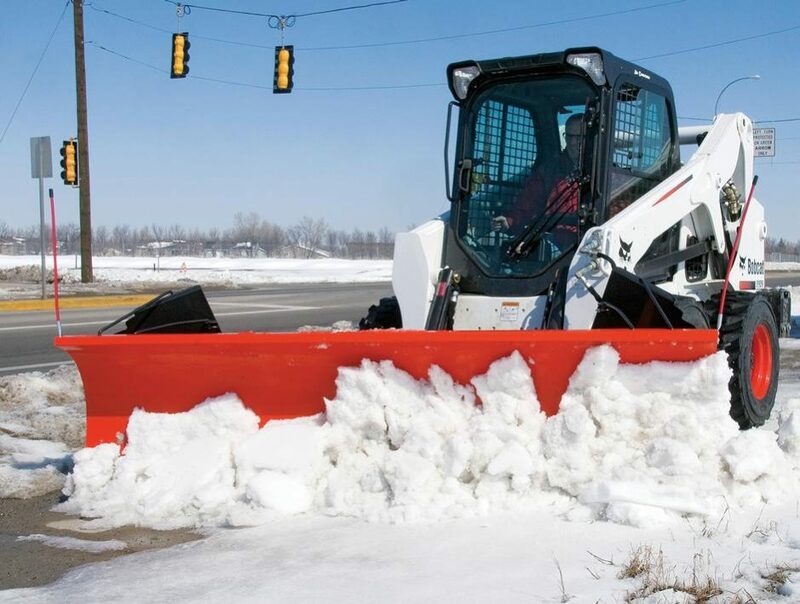 Optional features include rubber or polyurethane cutting edges and end-wing kits. The end-wing kits make the attachment more versatile by allowing the snow blade to also be used as a snow pusher. 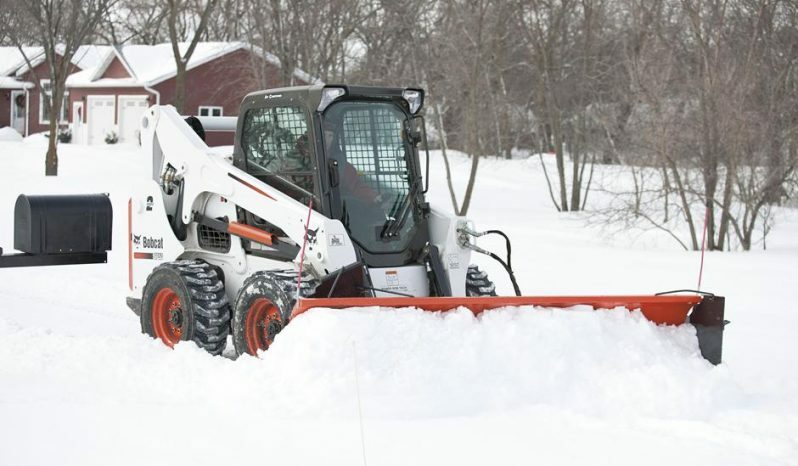 Cutting Edge (Steel) .38" x 4"
Cutting Edge (Steel) .375" x 6"
Optional Rubber Cutting Edge 1" x 6"
Snow Blade, Heavy Duty - 86"
Cutting Edge (Steel) .5" x 6"
Snow Blade, Heavy Duty - 96"
Snow Blade, Heavy Duty - 108"
Moldboard: Angles right or left up to 30 degrees for protection standard snow blades offer trip moldboard and heavy duty snow blades offer trip edge. Depth Shoes: Long lasting and adjustable to match your conditions. Cutting Edge: High carbon steel is standard, rubber and polyurethane are available.